Jamie B. Johnson, 26, of Bridgeport, was arrested Thursday for shoplifting. 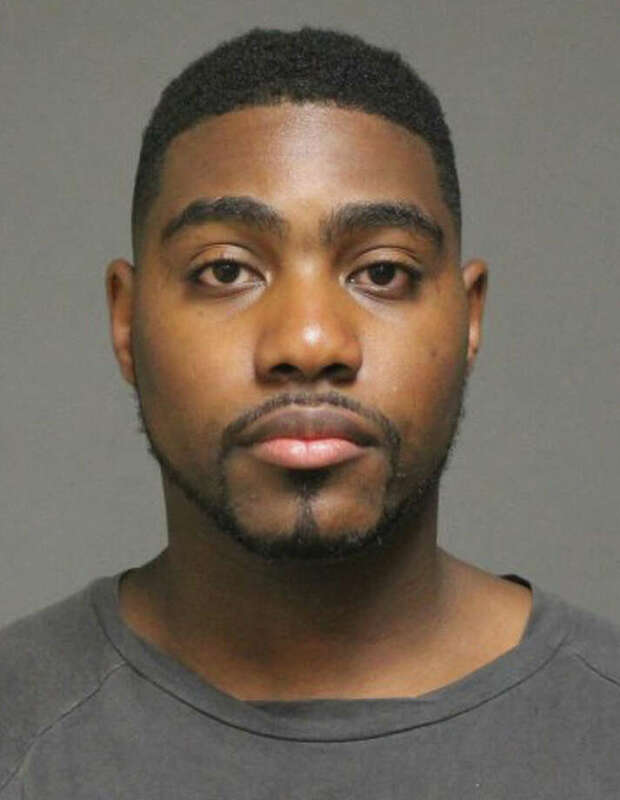 A Bridgeport couple was arrested Thursday after police said they allegedly stole $1,400 worth of clothing from Old Navy on Black Rock Turnpike — with proceeds from sale of the stolen merchandise used to finance the lease for a Mercedes, police said. Precious D. Lewis, 25, of Sherman Street, Bridgeport, and Jamie B Johnson, 26, of St. Stephens Road, Bridgeport, were both charged with fourth-degree larceny and conspiracy to commit fourth-degreey larceny. Johnson was also charged with first-degree criminal trespass because police said he had been previously been warned to stay out of Old Navy. The pair was arrested after police received a phone call from a witness who said he saw them taking clothing from the store, and then getting into a Mercedes and going across the street to Panera Bread. The anonymous caller followed the car to Panera Bread, and then to Country Cow, where the car turned around and headed south on Black Rock Turnpike, according to the report. The car was located in the Tunxis Hill Road parking lot of T.J. Maxx. When Lewis and Johnson saw officers, the report states, they tried to walk past the car, but were identified by the witness. They also allegedly threw merchandise from T.J. Maxx all over the parking lot. In the trunk of the Mercedes police said they found merchandise from Old Navy, as well as three other stores that are not in Fairfield. Johnson allegedly told police he stole the clothing to sell it and use the money to make lease payments for the Mercedes. Police said both Lewis and Johnson have a prior criminal history, police said. They were released on a $500 bond each and are scheduled to appear Aug. 25 at state Superior Court in Bridgeport.